History | Cross Creek Farms Inc.
CROSS CREEK FARMS was launched in the mid 80s as a joint endeavor shared by Carol Parker and daughter Michelle. 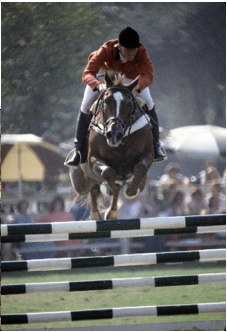 At that time Michelle Parker, now a highly successful professional rider and trainer, was a junior rider under the guidance of Ronnie Freeman (Laguna Hills, California) and Judy Martin (Tucson, Arizona). Mother and daughter’s first venture into ownership of grand prix caliber horses was the purchase of the Quarter Horse known as Threes and Sevens. This unique 15’2″ hand appendix Quarter Horse turned out to be world class superstar. 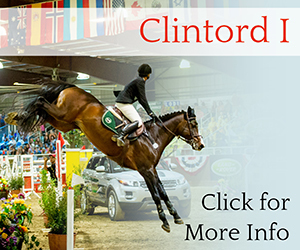 In the one year he was owned by Cross Creek, with rider Lynn Witte he rapidly moved up from the preliminary jumper division into the grand prix field where he won several events and qualified for the World Cup Finals to be held in Gotenberg, Sweden, that year. However during the 1988 Arizona Winter Circuit he caught the eye of Peter Leone who was looking for an international caliber horse. Instead of competing in Sweden, Threes relocated to the East Coast where his success rate soared over the next few years with a host of wins highlighted by the 1988 American Gold Cup, the 1991 American Invitational, the AGA Championship and a berth as first alternate to the 1992 Barcelona Olympic team. This ‘little horse that could’ was the bait that hooked mother and daughter on what is now approaching nearly three decades of grand prix competition for Cross Creek owned horses. From the junior ranks Michelle matured to became a top rider capable of winning on multiple mounts. Her first big grand prix win took place in Indio in the 1998 $75,000 USET/Cosequin Grand Prix aboard the European import Wisby D – a hot, unpredictable horse capable of brilliance. Other horses owned by Cross Creek and ridden by Michelle to grand prix blues include Spring, Rigoletto B, Acapulco, Phoenix Park, Nouska, Socrates de Midos, Cupilor and Vancouver 45.